Photo of Olivia Everett by E. Louise Larson, Butte, MT 2012. Courtesy of Public Lab. Please note the time for this event has changed. This event now runs from 7.30am to 8.30am on Friday December 16. Citizen science is the collection and analysis of scientific data by members of the general public. 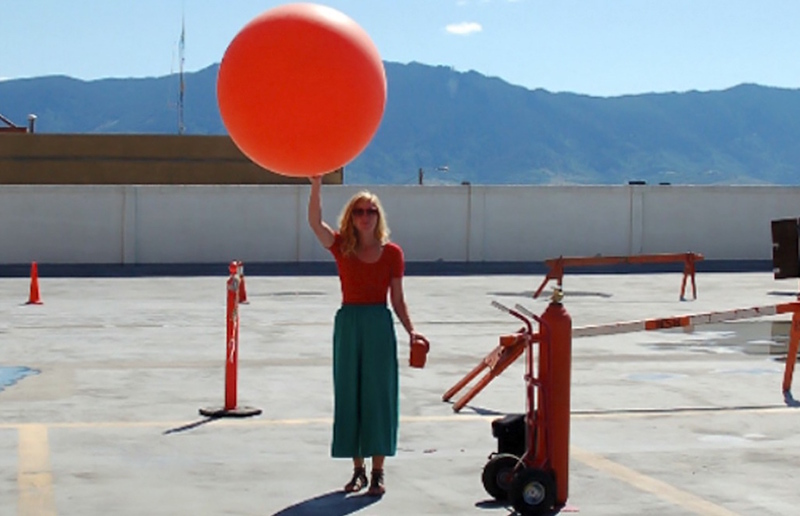 Balloon mapping is a form of citizen science; a grassroots aerial photography method that empowers communities to report on environmental and social issues that affect their local area. The DIY technique is championed by US non-profit science organisation Public Lab—it gained ground in the wake of the 2011 Deepwater Horizon oil spill in the Gulf of Mexico as a means for nearby residents to visually document the devastating impact of this colossal environmental catastrophe. Balloon mapping has since been used to self-report on protests, pollution, the Bourj al Shamali refugee camp—and many other important events that escape Google’s gaze. Come be present in Assemble Papers’ map! They’ll show us how it’s done, sending their giant red balloon on its maiden mapping flight over MPavilion. You’re welcome to drop-in at any time in the hour or on your way to work. Please register by clicking here to let us know that you plan on stopping by. We’ll update you if our plans change. Important note: balloon mapping relies on calm and dry weather conditions. If it’s too windy or wet we’ll reschedule for another morning soon. If you’ve registered, we will be in touch.